The three largest mobile network operators in Spain have signed a cooperation agreement aimed at generating a stable NFC ecosystem and minimizing the risk of market fragmentation. 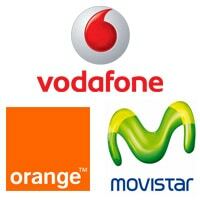 Under the terms of the agreement, Telefónica Movistar, Vodafone and Orange will work together to promote the development of mobile near field communication services in Spain. Unlike deals such as the Isis joint venture between leading US operators AT&T, Verizon and T-Mobile, however, the Spanish operators are not planning to work together on a commercial level. Instead, their collaboration will be confined to technical development work designed to grow the overall potential market for NFC services. The agreement specifically excludes collaboration on business models or marketing plans, the operators are keen to point out, and these will “depend on each operator”. To that end, participation is also open to any other mobile network operators who wishes to take part in the project.